The Australasian Plant Pathology Society is dedicated to the advancement and dissemination of knowledge of plant pathology and its practice in the Australasian and Indo Pacific Regions. Although the society is concentrated in these regions the work of our members is of international importance and significance. The Society, founded in 1969, has members that include research scientists, teachers, students, extension officers, administrators, diagnosticians, biosecurity and quarantine officers, policy makers, industry leaders and pest management personnel. The diversity of the society is also reflected in the extensive range of members' disciplines. These include Agronomy, Bacteriology, Biochemistry, Biocontrol, Biology, Biosecurity, Biotechnology, Botany, Breeding, Cell Biology, Crop Protection, Ecology, Epidemiology, Forestry, Genetics, Horticulture, Microbiology, Molecular Biology, Mycology, Nematology, Plant Pathology, Symbiosis, Taxonomy and Virology. Although the majority of our members are from Australasia, many are from other parts of the world. APPS has members from 45 countries across all continents. 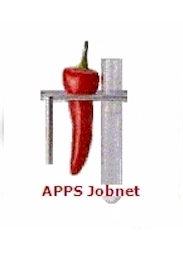 APPS publishes two scientific journals, Australasian Plant Pathology and Australasian Plant Disease Notes. In addition the society also publishes disease information in the Pathogen of the Month. The Society supports education in science through the Advancing Plant Pathology Fund as well as student and ECR bursary schemes and Australia-Japan Student Exchange program. Outstanding contributions to the science of plant pathology are honoured with several distinguished awards.